It’s natural for us to fear the unknown. Like all fears, this can start at an early age and remain with us for most of our lives. When it comes to embarking on a creative project – or specifically not-embarking on a creative project – it can be somewhat debilitating. To add more complexity and confusion, there are actually classes of unknown-ness. There’s obviously the stuff we know we know – the Known Knowns – at least that is until we find out whatever we thought we knew, we didn’t know that well after all. There’s stuff we know we don’t know – the Known Unknowns – for example, for writers, who is going to publish our bestseller. 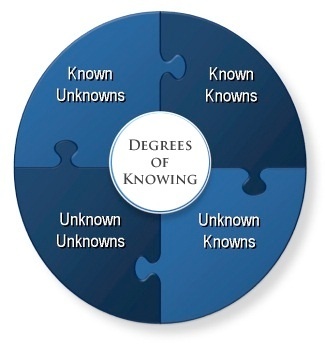 There’s a weird category of Unknown Knowns – these are things we know but didn’t know we knew. I love it when authors are actually quite surprised that people like reading their stuff. They were just not be quite aware of it. Finally there are the Unknown Unknowns – these are the bête noires to creatives – these are the demons that can stop us in our tracks. 6. 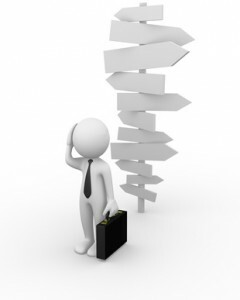 Write down three things you think you know and three things you think you don’t know – then have a think about them. Incidentally, I find out daily that words that I thought I knew the meaning of – I really didn’t. The Known Knowns weren’t quite what I thought they were !! !